The East Kentucky Power Cooperative (EKPC) planned to build a 278-MW coal-fired unit at the existing J K Smith Power Station. The facilities for this project were expected to impact existing streams and wetlands and would require mitigation. 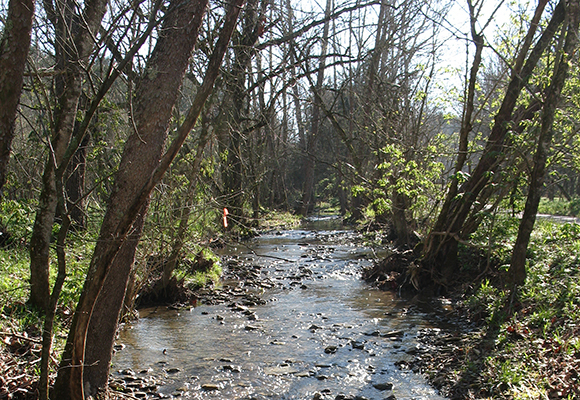 Palmer Engineering was part of a team selected by EKPC to provide land surveying, ecological, and civil engineering services for the mitigation of streams and wetlands on three creeks at the 3,272-acre site. The impacted areas included 4,783 acres of wetlands, 24,895 LF of temporary stream, 32,787 LF of discontinuous stream, and 17,808 LF of permanent streams. Field surveys of the existing streams/ wetlands along with topographic surveys of areas for new streams/wetlands to be created were used to provide designs for the new streams/wetlands that would be best for the overall habitat. Palmer coordinated all design activities with EKPC and USACE.